Oregon tourism is a $9.2 billion industry. In order to be that effective, there needs to be a robust organization at the helm to promote the industry and inspire travel to Oregon. 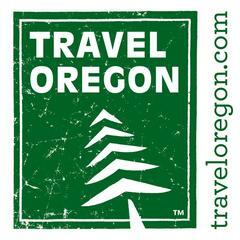 Travel Oregon does just that. 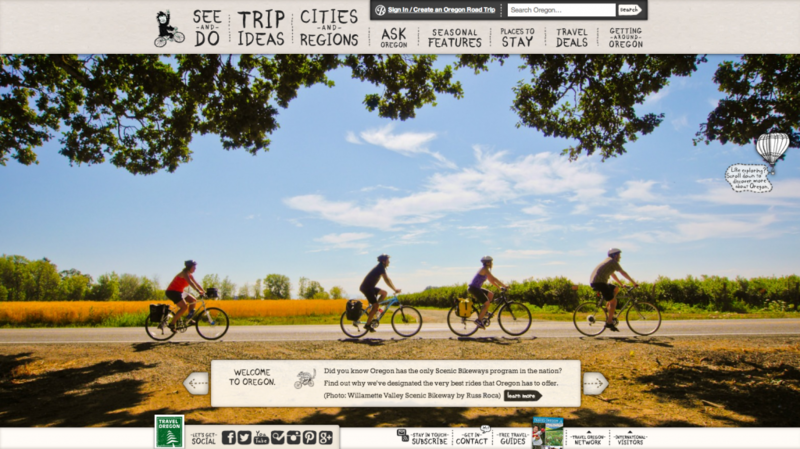 From the website homepage featuring a cycling trip through the Willamette Valley Scenic Byway to sharing tantalizing trip ideas and an assortment of visual clues of just how much fun an Oregon vacation would be, Travel Oregon neatly packages an invitation to visit Oregon. In addition to inspiring vacation ideas, a visitor to Travel Oregon can also stumble peruse a variety of things to “see and do” while visiting the state, ask questions, view deals and read up on seasonal features. Travel Oregon is a partner of the 2013 Wine Tourism Conference, and is a proud host of the Friday luncheon for attendees. The luncheon will feature local Oregon ingredients and will begin at 12:30pm. 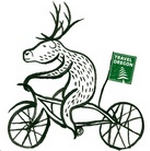 Travel Oregon invites you to connect with them via Social Media. You can find them on Facebook, Twitter, Instagram, YouTube, Pinterest, and Google Plus.